It has been said that we are created in God’s own image. There are those who know and understand this to mean that IN EACH OF US IS A SPARK OF THE DIVINE — a spark which can aid us to attain wisdom, riches, love, joy, health, and success through the power of God’s Holy Word. Practical, honest, and straightforward, this book teaches the history and unlocks the mystery of Christian Conjuration with the Holy Scriptures. Learn ancient traditional spells of Psalmic Magic from forgotten books of Jewish wisdom preserved by African American elders, open the Bible’s treasure-house of Secret Charms and Sacred Amulets, and prepare yourself for revelations and wonders. 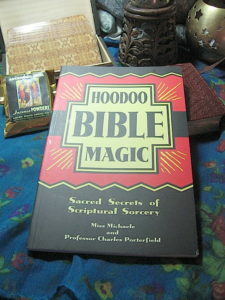 The Bible is a magic book! THIS book tells you just how to use it! Professor Charles Porterfield is an Old Testament, old-school reader and root worker, and a proud member of Missionary Independent Spiritual Church. 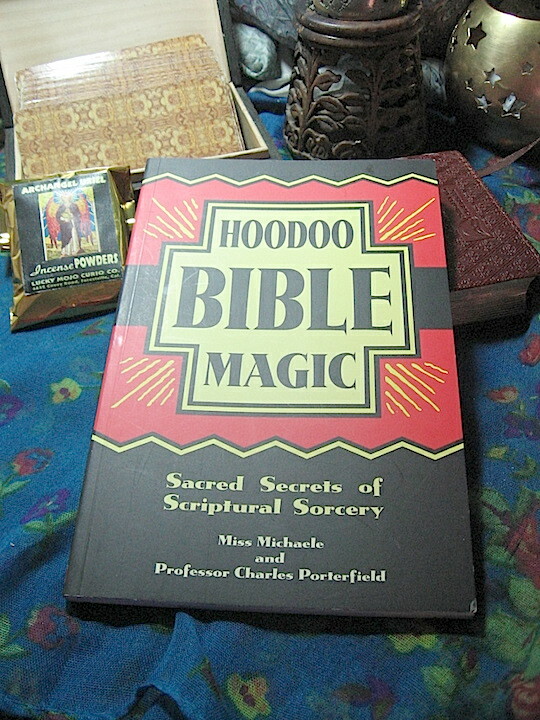 A natural man, he specializes in men’s issues and the Biblical aspects of hoodoo. Texas born and raised, he lives with his wife, children, and grandchildren. Is there electronic version of this book? No. I do love the searchability of ebooks, and being able to adjust print size — but Lucky Mojo Curio Co., the publisher, is paper-only. Does PayPal work in Liberia? If not, you can send me a Postal Money Order. Email me at heartofgold@hoodoofoundry.com and we’ll figure out postage costs and select a payment method. Otherwise, you can order from Amazon.com or Lucky Mojo Curio Co. (www.luckymojo.com).